ArtBarrage is one of the most popular marketplaces for contemporary arts. 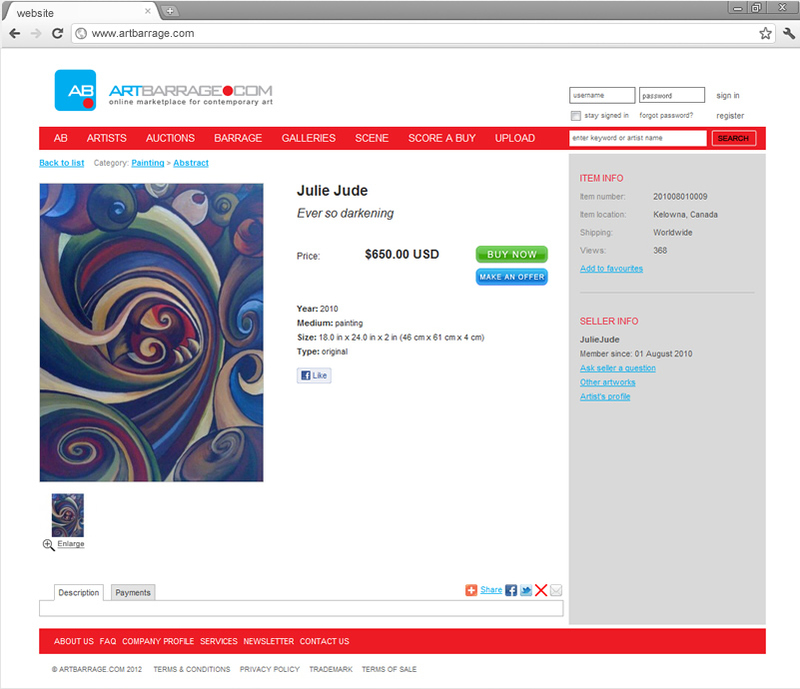 Additionally, they provide art consulting services to non-profit organizations, collectors and corporations. Enjoy the ArtBarrage experience now by clicking on the link. You can create your own account or utilize the search tool to find a specific product. The website is also well equipped and user friendly.